For those of you planning a trip to Sedona, but are hesitant because of the Slide Fire; here is some information that may help you decide to continue your plans to visit. “Thank you choosing Sedona for your upcoming trip. We are anxious to welcome you to one of the most beautiful places on earth. We’re sure you are concerned with the Slide Fire that is burning several miles north of Sedona. 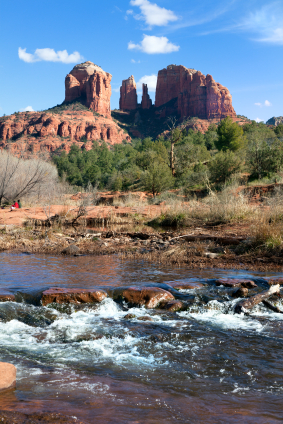 We can assure you that Sedona is open for business and the fire shouldn’t have many impacts your stay. While Oak Creek Canyon from Sedona to Fort Tuthill in Flagstaff is closed, all other streets and highways are open. The United States Fire Service has closed some trails and trail roads, but more than 200 miles of trails are still open for you to explore and enjoy. If you plan on travelling between Sedona and Flagstaff, or going to the Grand Canyon, you can still do so by using State Route 179 (an All American Road and Scenic Byway) and Interstate 17. During your stay, you may experience some smoke in the early morning hours, however, it doesn’t long. We encourage you visit our official Chamber of Commerce Visitor Center, located at 331 Forest Road, during your visit to get the most updated information and ideas for things to do in the area. Additional information on active wildfires including updates on road conditions and closures can be found at InciWeb or azdot.gov. 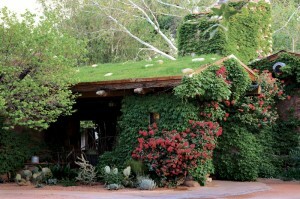 El Portal Sedona Hotel encourages you carry on with your trip to Sedona. The fire is moving northward, away from Sedona. Come – take a trip to Sedona – it truly is one of the most beautiful places on earth!